Adult Classes — Atlanta Irish Dance by Burke Connolly. 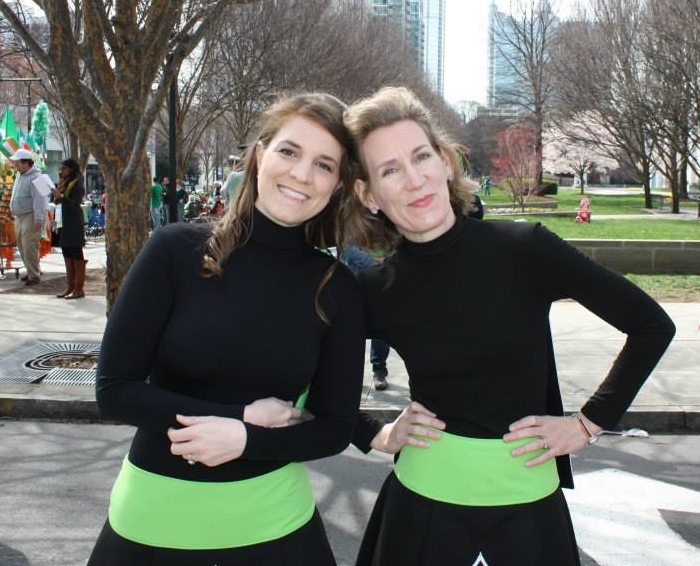 INtown Atlanta Irish Dance! Atlanta Irish Dance by Burke Connolly Offers Beginner & Advanced Adult Irish Dance Classes! Get active, make new friends, and learn to Irish dance from the some of the best in the South! Our Adults dance choose what they feel comfortable with: recreational dancing or performing and/or competing! Whether you've NEVER taken any dance class before, or you want to try a new dance style, the Adult Beginning Irish Dance class is a perfect start! This course focuses on basics such as foot placement and posture while learning the essential movements to Irish dance, including the Jig & Reel! Family Discounts: Make it a family affair! 10% off for families with more than 1 student enrolled. This class is for Adult Irish dances who have a strong foundation in Irish Dance basics and are either ready to begin hard shoes, or already know hard shoe dances. Dancers may also learn group Ceili dances, and be invited to compete in various competitions, including the Southern Regional Championships, which now offers an Adult Championships! *Payment plans are available. Please email info@burkeconnolly.com for details. Our Adult 4-hand teams at the Southern Regional Championship!